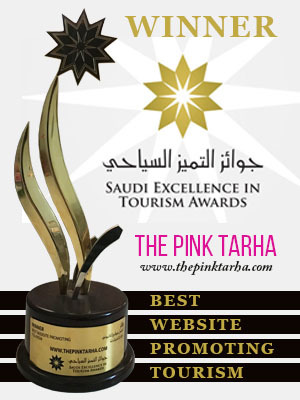 Last week, The Pink Tarha blog turned nine years old. It’s still a marvel to us when we see how far we’ve come and our hearts are full of gratitude and love for every single person who has supported us. This year, we did our best to give back to our awesome readers by doing another Facebook Live contest giveaway in collaboration with some old and new brands that were willing to give back as well. Preparations were in place a month in advance, emailing companies who were interested in participating and me and Janelle churning up ideas back and forth. Alas, a week before our actual anniversary date, Janelle received an unfortunate news about a family emergency and without question, she had to rush to the Philippines as soon as possible. Fortunately for us, we have amazing girlfriends who helped me out for all the last minute preparations and post-anniversary matters…(Special shout out to Ate Raquel, Kim and JL!) So from collecting the prizes from sponsors, finalizing the contest questions, and arranging my little apartment for the live show was a true team effort. The “icing” on top of these whole event though were the bakers who have pledged to bake a cake for us in celebration of our 9th Year Anniversary. Hence, the “9 Cakes for 9 Years” became a reality. After having received all those gorgeous cakes, we were definitely on Cloud NINE! All nine cakes with cotton candies as “clouds”. 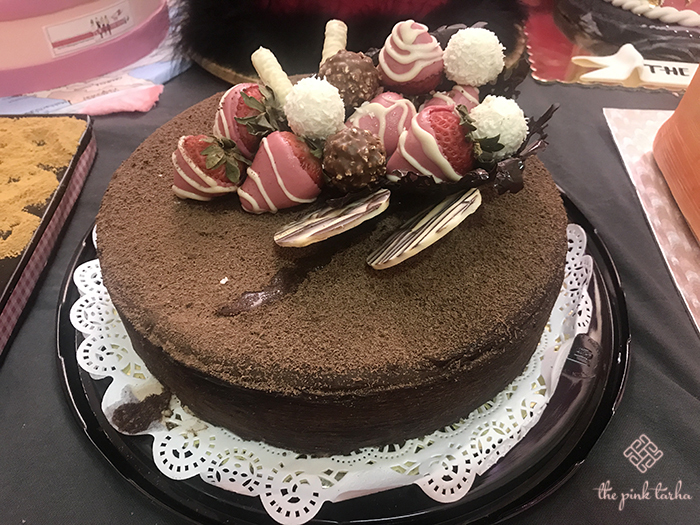 Have a closer look at all the cakes we received that day and check out their details if you would like to order from them as well. Our first cake is from Dolce Cecilia. She’s been one of the homebakers that we’ve known since she started. She’s known for her printed fondants, rosette icing decor, cupcakes, cake pops and even savory pastries like the tuna puffs and her infamous cheese pimineto spreads. She’s also one vibrant and fun lady! She used one of the photos that I posted on my Facebook for this one. Something creative from Bakefresh by Nadia. BakeFresh by Nadia probably knew we would be getting a bunch of cakes with the same style and decided to show off her creative side. It looks like it’s inspired by the “mille feuille” with its layered biscuits in between some light cream. 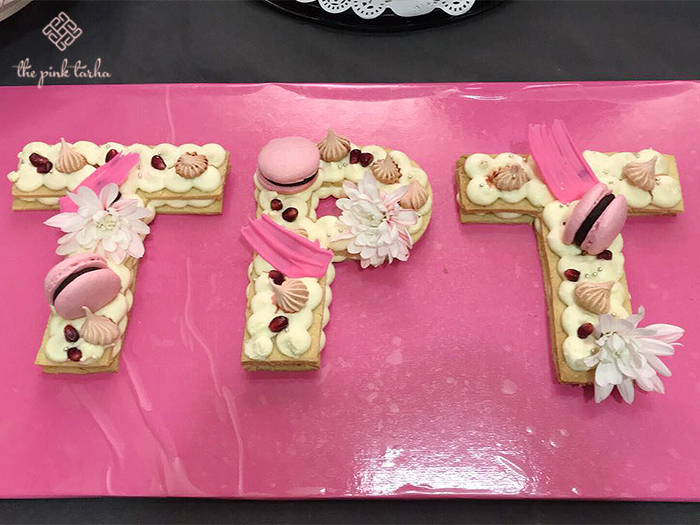 It was decorated with macarons, little meringues, pomegranate seeds and accented with fresh flowers. When I tried it, it was like a delicate dessert that played on a marriage of textures. Again, kudos for not overdoing the sweetness. It feels like it is something we can definitely pair with a cup of hot tea. For more of her lovely, gourmet cakes, find her on Facebook @Bakefresh. Nadia was the first baker we featured about 8 years ago and has also offered baking classes to our readers for The Pink Tarha Mornings. If you want to learn about baking tips and tricks, don’t forget to join her BakefFresh group. Kalipay’s Kitchen (aka Ryan) is making waves in the homebaker scene in Riyadh for his artisan baking skills, elegant packaging and picture perfect cakes. Just look at this sweetheart cake that he has made for us! 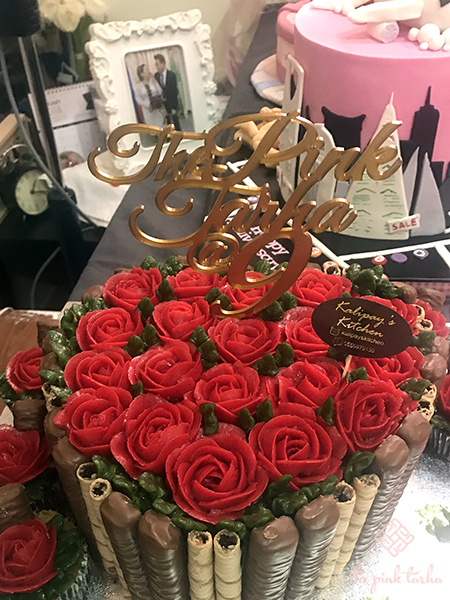 It is Kalipay’s Decadent Chocolate Cake with Dulce de Leche Filling and Korean buttercream roses. Personally, I thought his buttercream decor was impressive as this kind of ingredient is not as easy to work with unlike fondant. 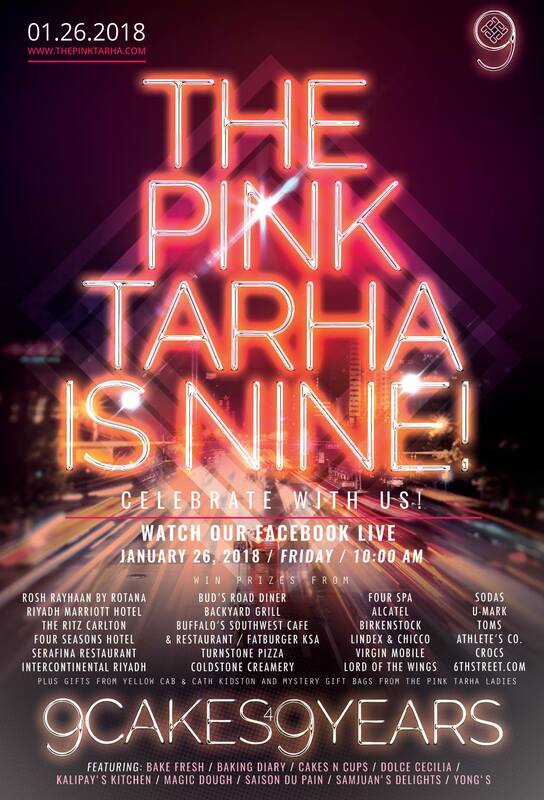 He even went the extra mile to get that topper of “The Pink Tarha @ 9” made in the Philippines and shipped here. 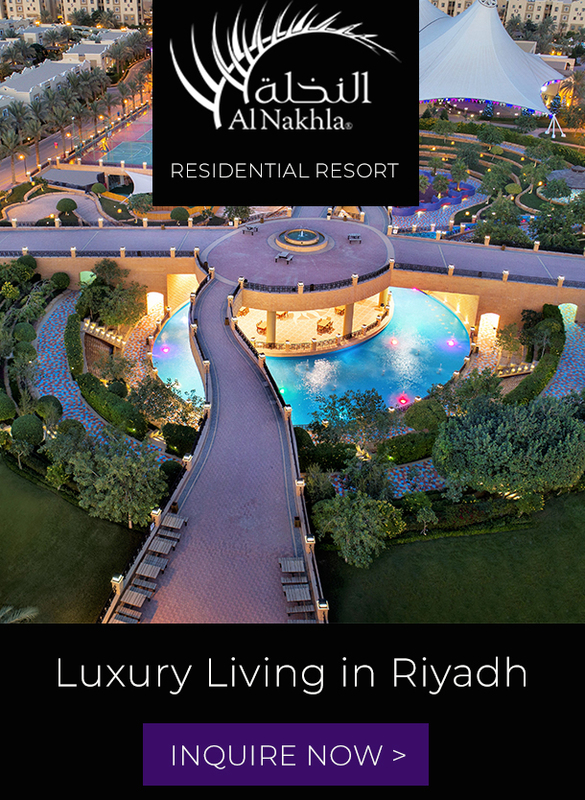 You’ve really made us feel special! The cupcakes on the side came in real handy during our Facebook Live because I was already getting hungry and it was real easy to grab from it (hence that space on the side, hihi). As for the taste, a bite into the buttercream along with his cake was like a match made in heaven. It was a good kind of buttery feel and not the averting kind. Kalipay’s Kitchen is accepting orders especially this Valentine’s Day! His flower creations would make a great addition to the real flowers you guys give out on V-Day. Find him on Facebook @Kalipay’s Kitchen. A Riyadh-inspired cake from Cakes N Cups. 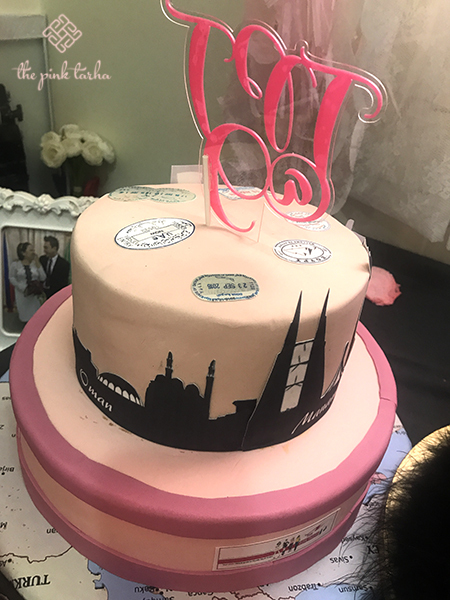 This cake from Cakes N Cups is sooo adorable and we truly appreciate her efforts in creating this Riyadh-city-inspired fondant cake. 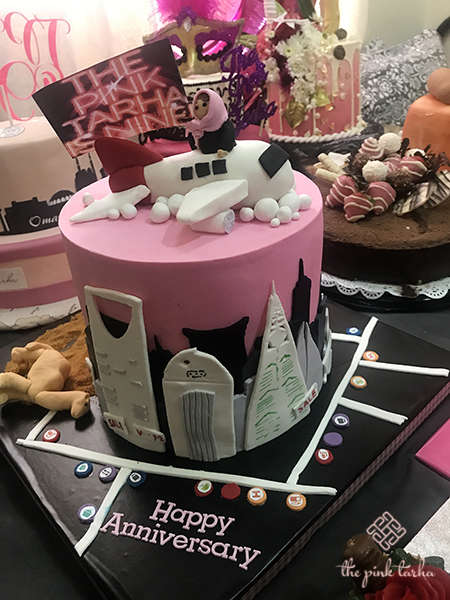 There’s even a woman in an actual pink tarha sitting a top a plane and well, that camel on the side is probably taking a nap. (Sorry, it must have slid during the setup). Every inch of this cake was carved to a tee, including those words of “Happy Anniversary” and we truly appreciate your craftiness. The cake was a solid chocolate effort that was hard not to keep coming back to. To see more of her work, add her on Facebook at @CakesNCups. Yong’s cake was simple and sweet. 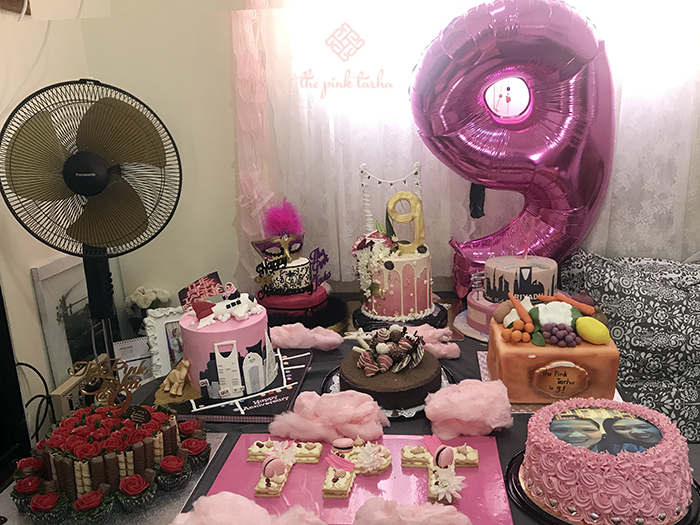 It may not have the usual, extravagant look and its decor was made of chocolate-dipped fruits and Ferrero choco balls but still, having a biscuit cake underneath made it different from all the rest. It is a but hard to cut through but the sweetness is well balanced. For this particular cake, I’d pair it with a cup of coffee. Yong’s is probably the newest baker from the bunch and we’re looking forward to try more of his creations in the future. Check out Yong’s page and the rest of his products on Facebook @YongsCreativeFoodInnovation. When it came to the look and feel, this enormous fondant cake from Magic Dough really did “take the cake”. When I arrived to their bakeshop to take it, I was naturally surprised that there was no pink color in it at all. 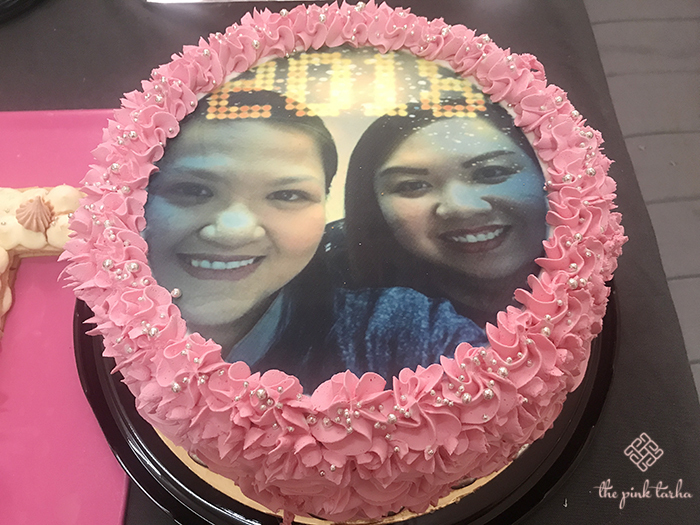 When I asked Mr. Zolo and Ms. Pinky (owners of Magic Dough) why they decided to use fruits and vegetables as the toppings for our cake, they said it symbolizes having another “fruitful” year ahead. The sculpting of the fondant to look like real fruits were really good and inside was a rich, multi layer vanilla cake with frosting in between. Magic Dough is a new bakery that opened along Abu Bakr Alrazi St. (right beside Kapitana Restaurant) and their egg tarts and brownies are some of the things we liked from their store. Find them on Facebook: @magicdoughbakeshop. The fabulous cake from Baking Diaries. 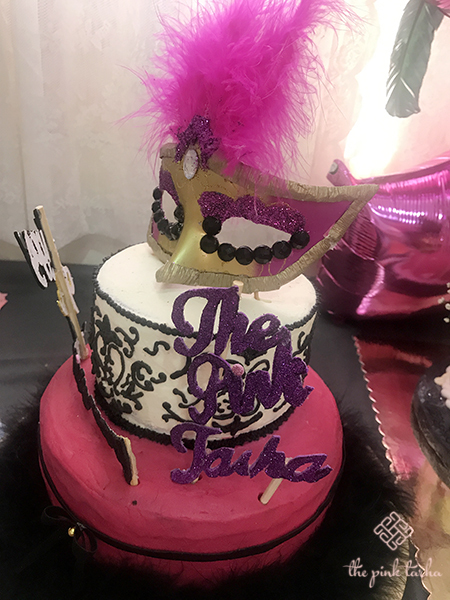 This flamboyant cake from Madiha of Baking Diaries was a crowd favorite during our live session. It depicted a burlesque vibe with the pink and gold eye mask and furry feathers all around. The base cake was made of delicious red velvet cake and the icing reminded us of classic birthday cake feels. Everyone who took home a slice of this cake were all raves about it. Great job, Madiha! We hope you will continue baking and making awesome tasting cakes! You can find her on creations on Facebook: @BakingDiaryByMadihaAkhtar and check out her Valentine’s Day offers as well. Fondant Cake from SamJuan’s Delights. SamJuan’s Delight is one of those bakers that I also have to blame for the extra weight gained over the last two weeks. She presented us with this huge chocolate fondant cake with caramel layers in between. 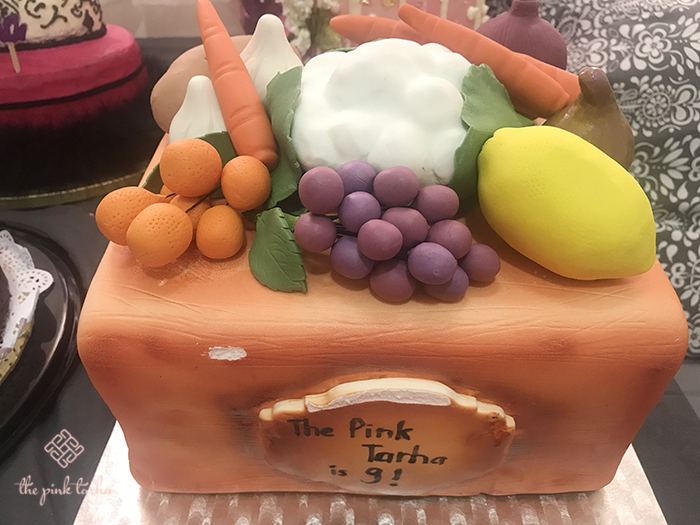 Her cake was inspired by the traveling that The Pink Tarha does and even stamped the cake with visas of the countries we’ve beein in. How thoughtful! She also surrounded the cake with all of the past header images of our blog since it started back in 2009! The topper also looks custom-made and again, we love the personal touches you made. I am doing my best to preserve the last bits of this cake in my fridge as they are quite precious as they are delicious. Apart from cakes, she also has a selection of other baked goods, check out her Facebook @SamJuansDelights. The tallest of all the cakes! From Saison Du Pain. This elaborate and gigantic cake came from our friends in Saison du Pain! If you remember, we featured their super cute line of unicorn cakes and we couldn’t stop having them ever since! 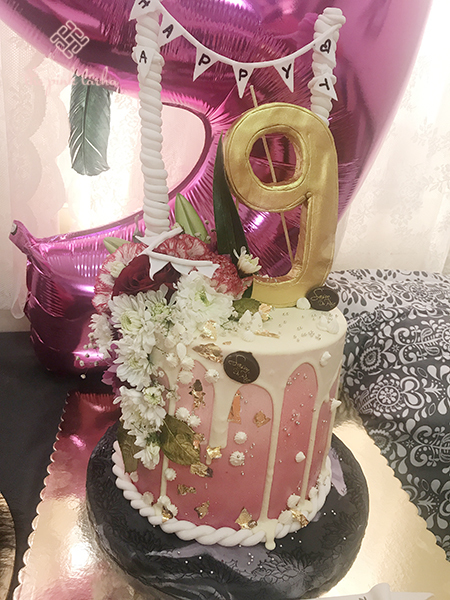 They patterned this cake’s design from our 9th Anniversary theme, adding some gold leaf flakes, fresh flowers and a solid gold number nine on top! I think this was a seven tier strawberry cake with vanilla cream in between. It took two people to carry this up to our house and it probably took over a dozen people to help me finish it all off. They customize cakes to your liking too, so check out their Facebook @SaisonDuPain. Just a disclaimer, I didn’t eat all these cakes by myself…I shared it with everyone around me at that time. ^_^ How I wish we could give you all a slice because they were all pretty great in their own ways. From the bottom of our hearts, THANK YOU to all the bakers who made our anniversary extra special by sharing your talent and passion with us. We hope you caught the live broadcast/video too where we presented each one of you, giving you addequate air time. 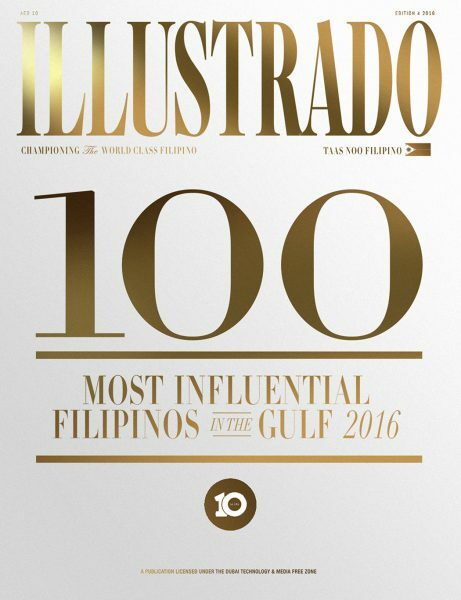 🙂 We are really, on Cloud Nine because of y’all! From me and Janelle, again, THANK YOU ALL SO MUCH for reading and following us. 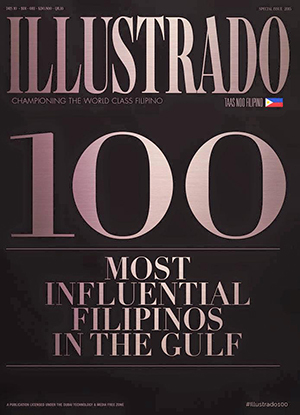 We are humbled by your support, well-wishes and love. Here’s to many more, CHEERS!